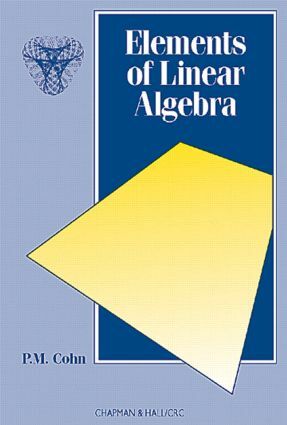 This volume presents a thorough discussion of systems of linear equations and their solutions. Vectors and matrices are introduced as required and an account of determinants is given. Great emphasis has been placed on keeping the presentation as simple as possible, with many illustrative examples. While all mathematical assertions are proved, the student is led to view the mathematical content intuitively, as an aid to understanding.The text treats the coordinate geometry of lines, planes and quadrics, provides a natural application for linear algebra and at the same time furnished a geometrical interpretation to illustrate the algebraic concepts.